Demonia's Scene 53 Wedge Boot is a steampunk style lace up ankle boot. 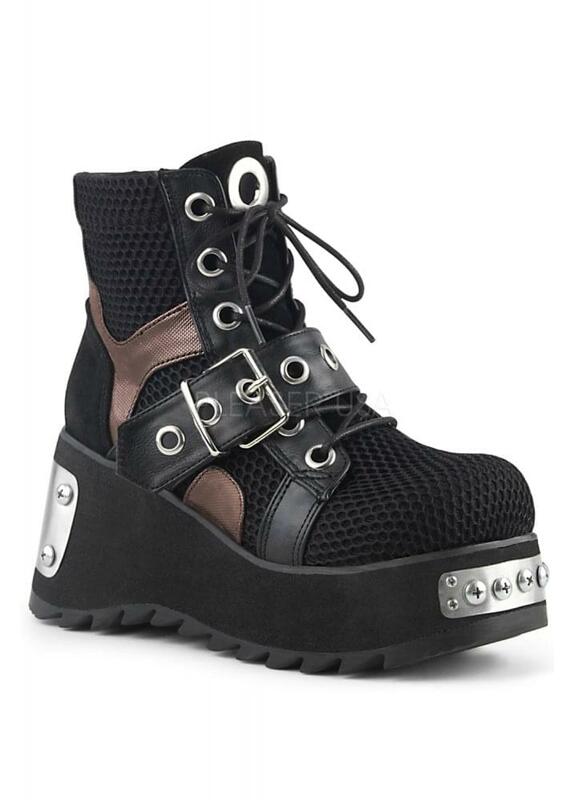 The alternative boots have bronze panels, fishnet overlay and metal plated wedge platform. The boots also feature buckle straps and a large grommet on the tongue.